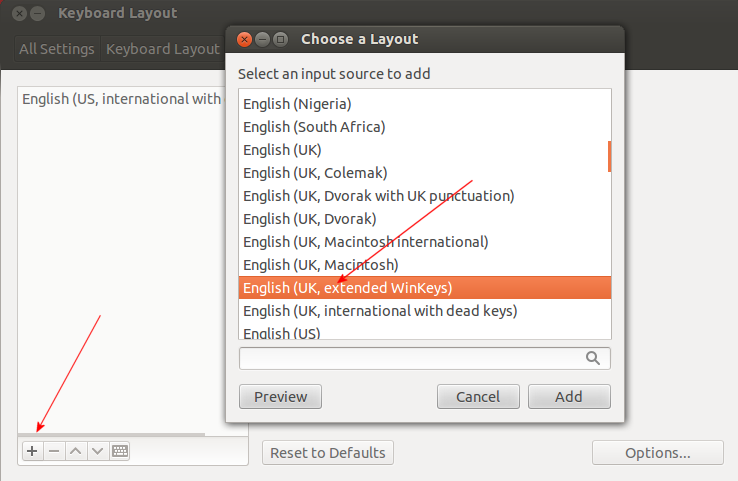 On Linux/Ubuntu, there’s only one sensible way to do the graves – the English (UK, extended WinKeys) keyboard layout. Or the US equivalent of course. 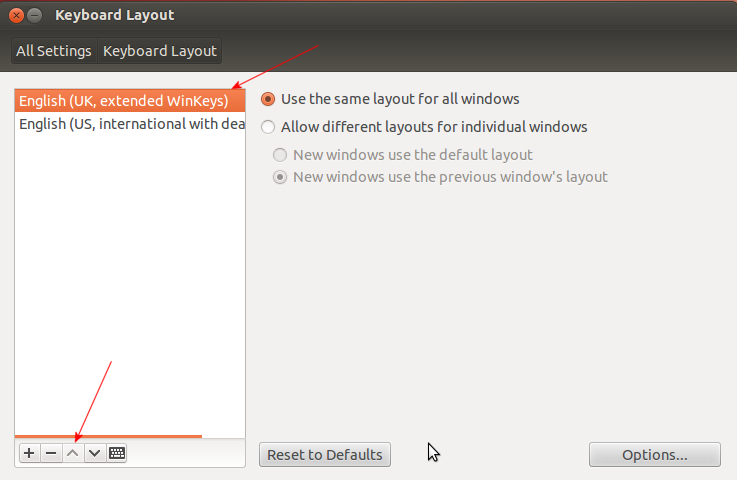 This already comes installed with Linux/Ubuntu so all you have to do is tell the system you want this changed. 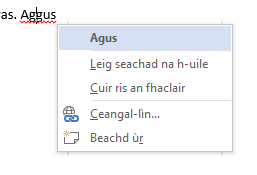 This is, by the way, also advisable if you’re using the Gaelic version of Ubuntu, the default keyboard is clumsy (we’re looking to have that changed but that may take a while). The hit the x to close the window. That’s it. Press that once and then any vowel and that’s it. If you want a capital letter, press it and then Shift A or Shift E or whatever. Wonderful. Thank you. Wondered about the differences. By the way, the non extended keyboard produces the same characters with the same method too. 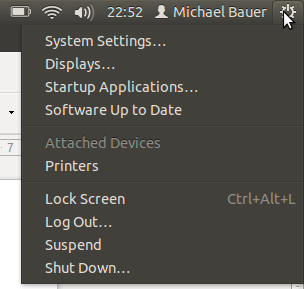 At least in in Kubuntu 14.10. The Irish linux keyboard layouts, are of course primarily geared toward Irish Gaelic and not Scottish Gaelic (go figure). Of course the two languages aren’t vastly different, but they therefore have our dastardly other-way-slanting accent marks on AltGr+vowel (the Irish “Cló Gaelach” subvariant also has our older consonant lenition marks ṡḃġ etc. on AltGr+consonant). 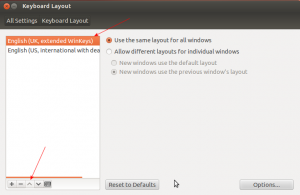 However, they do also make the right windows key into a so-called “compose key” (a.k.a. “multi key”), and so give à on “RWin, a, `” (that’s not a chord, just one after the other – “RWin, `, a” also works) and so on, also fairly conveniently.